Smiley enjoyed singing for all of us, but especially for the children. As he stated, "I enjoy entertaining children because they always kept me entertained". 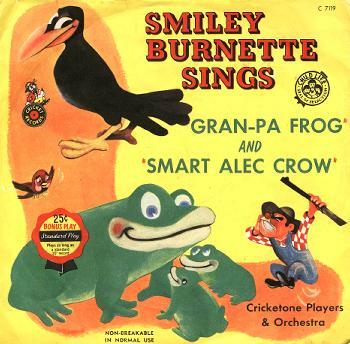 So we thought you might enjoy listening to Smiley sing you some of the children's songs that he recorded on 78’s, and 45’s. In these days, where you can play your music off a little round piece of shiny plastic, an MP3 file on a computer, or in this case over the Internet, remember that there was once a thing called an Album. It was heavy plastic or even clay, had cut grooves, and used a player with a needle to read the bumps in the grooves. They popped, hissed, skipped tracks, and were very fragile. 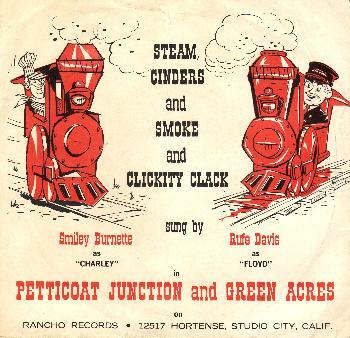 Included are images of the jacket covers the records were sold in. If you notice on some of the jackets the statement, "Bonus Play, plays as long as a standard 10" record. These records are 78’s that are the size of a 45, but a lot heavier. There are two songs that are very special to Elizabeth Burnette, and she wanted you to be able to enjoy them as much as she does. The first is her favorite, "Uncle Noah's Ark". This song was never made into a record by Smiley. 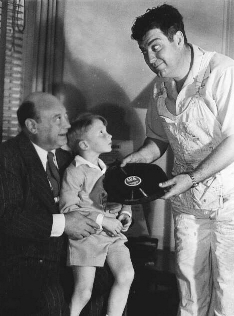 He did most of the sound effects for it in the movie "The Phantom Empire", and sang it as a duet with Gene Autry in "Round Up Time in Texas". 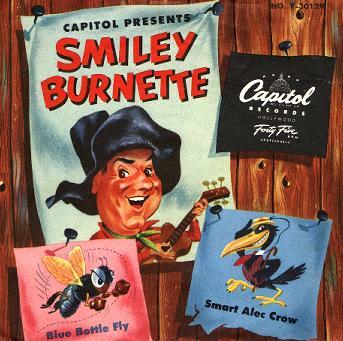 The version you will be listening to on this site was recorded while performing on "The Smiley Burnette Radio Show". 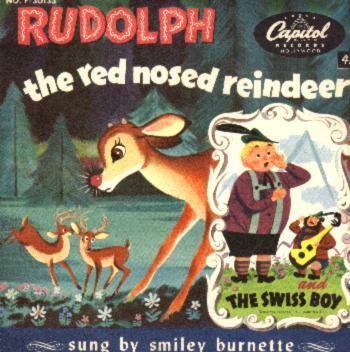 The second song that Elizabeth holds dear to her heart is "Rudolph The Red Nosed Reindeer". Smiley sings it as though he was right in front of you, telling you the story. Close your eyes. Can you see him? Elizabeth remembers fondly, sitting on the stoop of her Grandfather's recording studio. She said she never was allowed in, but would listen from outside the door. 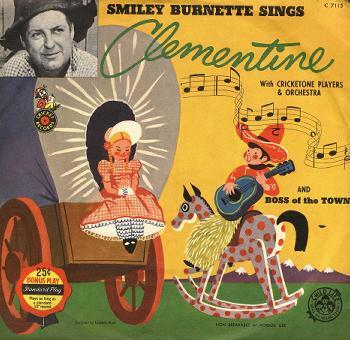 Sometimes Smiley would have to come out and shush her because his equipment was so sensitive her singing along was picked up on the recording. Elizabeth remembers one time in particular. She was building a castle out of dominos, and Smiley all of a sudden appeared to shush her. She was so startled, she knocked over the stack of dominos that was to be her tower. Of course this added more live sound affects to Smiley's recording. 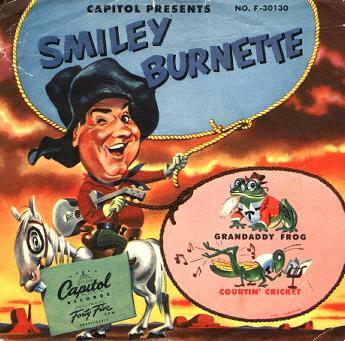 Please sit back and enjoy Smiley as he performs a selection of his Children's Classics for you!